It’s starting to get cold outside, the weather will continue to grow colder over the coming months and as it does, cluster flies will start looking for a suitable place to hibernate. Cluster flies will enter homes and outbuildings in very large numbers and begin begin hibernating until spring. Whilst it might produce some results trying house flies with DIY products available from the shops, devices such as sticky traps and sprays aren’t up to the job when it comes to eliminating cluster flies. Cluster flies can be overwhelming and number in the thousands, if you have noticed a large number of flies in your property you should get in touch. We can arrange an appointment that suits you and get rid of them safely, cleanly and efficiently without any fuss. 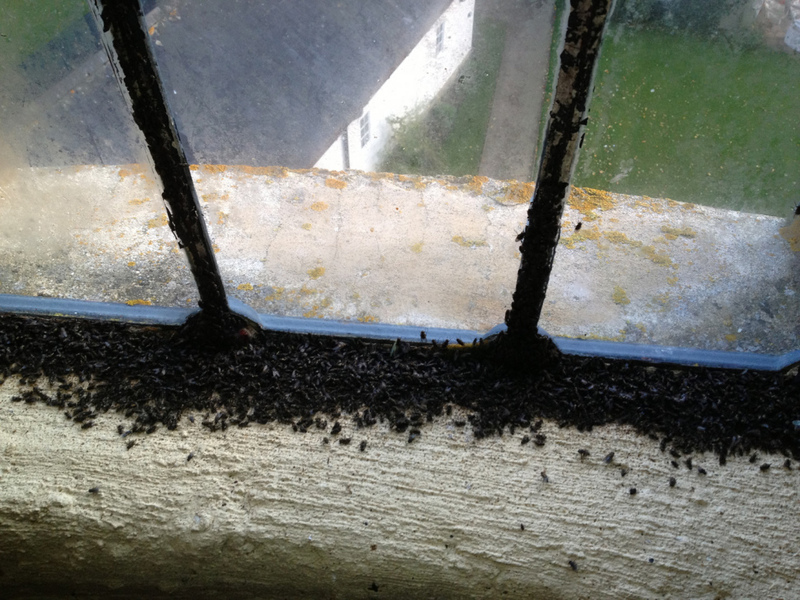 Cluster flies shown here gathered around a window, attracted by the light as they settle in to hibernate in this outbuilding.